"Facebook on Tuesday was awarded a patent for a social network news feed, setting the stage for a future battle with its social networking peers over similar technologies. The patent is specifically for “dynamically providing a news feed about a user of a social network” and effectively grants Facebook the opportunity to pursue other social networks who it deems are infringing on the company’s patent, reports AllFacebook." "Google is experimenting with markup for product data. We do not currently display this information, unless the product is part of a review. Each product can have a number of different properties, such as name, category, price, and brand. You can use either microformats or RDFa markup to label these properties. Google recognizes the following product properties. In general, you can use the same property name for both microformats and RDFa. (Where the RDFa and microformats property names differ, the microformats property name appears in parentheses.)" "don't remember why exactly but Gapingvoid, as I think of him, was among the batch of first people I started to follow on Twitter. He seemed to be in some kind of smart crowd; the kind of crowd I like to follow to learn from. When I learned Who He Is I liked the fact that he replied to regular people (like you and me) on Twitter. Probably he's one of those himself; regular people." Cool Websites Organization - Formerly known as Paisley's Cool Sites now invaded by a bouncing Ti-double-grrrrr! 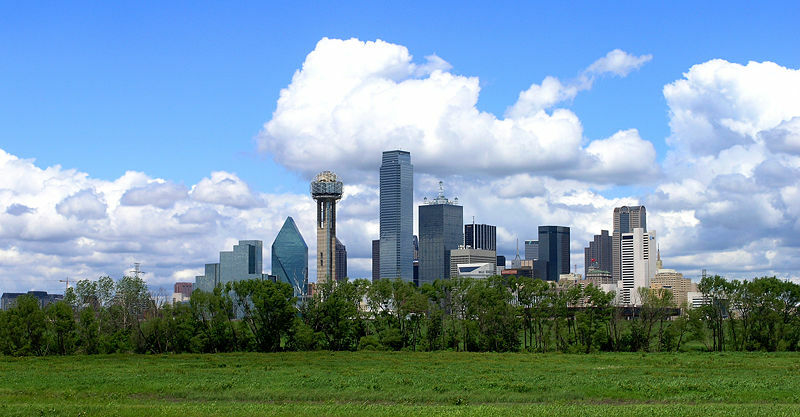 "February 2010 - Bridging the gap between Dallas, TX and Atlanta, GA Cool Websites. Valentine's Day for some, way too many birthdays on such a short month, search engines, social media, blogs, and HTML. Bing, Ping wi-fi, Dallas and Atlanta restaurants, Oysterfest, Winter Olympics in Vancouver, Wine, Road Trips, and a Pub Crawl." "Well boys and girls all good things must come to an end and now its time for this this good thing to end. Don’t be sad though it’s not the end of Techcrunch saying and doing stupid things. I promise you that that will always continue. Maybe." best part: "Techcrunch is nothing more than a guys website. No different than your own really, except you probably have a lot more integrity. " "Imagine being in a foreign country staring at a restaurant menu you can't understand, a waiter impatiently tapping his foot at your tableside. You, a vegetarian, have no idea whether you're about to order spaghetti with meatballs or veggie pesto. What would you do? Well, eventually you might be able to take out your mobile phone, snap a photo with Google Goggles, and instantly view that menu translated into your language." Will Google offer ranking reports? Google Webmaster Guidelines say "no automated queries"
"Not everyone knows you can search Buzz, so for starters look up to the top of Gmail when you click on 'Buzz': the search box switches from 'Search Mail' to 'Search Buzz'. You can type any query into the box, and it will search all public Buzz posts from all users for that query. There's likely some good stuff amongst the millions of posts. But that's not enough: if you have more than one or two queries, or you want to periodically check in, it'd be nice to return to these queries once in a while to see what's new. Here's what I do:"
"Reactions to Google’s new social networking tool, Buzz, appear to be divided between those who think it will topple Facebook and�those who have already discounted it. If you still haven’t made up your mind yet about Buzz, here are some useful tips for customizing and automating the service so that it can work with your other social networks. We’ll also look at some ways to share messages and links via Buzz with specific groups, which could make it a useful tool for the workplace." @steveplunkett: You have listed yourself as a "reputation management consultant", why do people need one? That's a great question. When I give seminars on the topic of online reputation management, I often ask the audience how many of them don't believe they have an online reputation. If anyone dares to raise their hand, I threaten to go and write a negative blog post about them, to prove they have one! And that's the message. We may not all have a recognizable brand, but we do all have an online reputation--and you could argue that the lack of a reputation, could be just as damaging as one that's tarnished. Whether you're applying for a job, seeking venture capital, looking for a date, or trying to win your one thousandth customer, you can bet that someone, somewhere is Googling you, or asking their social network what they think about you. I help individuals and companies to present themselves online in the best possible light. @steveplunkett: ORM stands for Online Reputation Management, if you were to define that term, what would it be? @steveplunkett: How did you come up with Trackur? Once my book was published, I realized that we didn't find many online reputation monitoring tools that were a natural step-up for someone that had outgrown Google Alerts. You went from free to thousands of dollars a month. I wanted to fill that void and I wanted to create a tool that could be set up in just a matter of minutes. One month later, I publicly launched Trackur, and today it provides reputation monitoring for just $18 a month, with a learning curve of just 60-seconds! @steveplunkett: What advantages does Trackur have over using something like Google Alerts? Well, we bring all of your keyword monitoring into a dashboard that makes it easy to set-up and manage. We cover more sources than Google Alerts does and we also provide influence measurement tools so you know not just who is writing about your brand, but how likely they are to influence your online reputation. We also offer some pretty cool tools for marketing and PR agencies that want to provide online reputation monitoring services to their clients. "Google is getting into the broadband business, taking on the cable and telephone companies in an effort to make speedy Internet access available to more people. It will build and test broadband networks in one or�a small number of trial locations across the United States. Communities that want to be considered can apply here." "Google has announced a new product called Google Buzz, which represents the company’s latest attempt to hitch its wagon to the popularity of social networking and, more specifically, the growth of social sharing and status updates. Many will call this a Twitter killer or a threat to Facebook. Certainly the company is targeting the audiences that Twitter and Facebook serve, but suggestions that Buzz will kill them are overblown. From Orkut to Lively to Google Friend Connect and beyond, Google has tried to succeed with social products that just haven’t caught on. There’s no guarantee Google Buzz will be any different." Best example of Google social usage..
"If there’s any one thing that can be said about SEO with certainty, it’s that it manages to cause a lot of confusion. For example, it seems like many people’s idea of SEO was formed 10 years ago, and hasn’t bothered to change with the times. Even an online veteran like Robert Scoble is completely clueless about modern best practices for search engine optimization." This feature lets you easily publish static information on stand-alone pages. For example, you can create an About This Blog page that discusses the evolution of your blog, or a Contact Me page that provides directions, a phone number, and a map to your location." DALLAS. (Feb. 3, 2010) —Revere Security (www.reveresecurity.com), the leading cryptographic data security solution company for small, power-constrained chips and devices, has brought on industry pioneer Whitfield Diffie as the company's chief cryptographer." "Quantum entanglement, also called the quantum non-local connection, is a property of a quantum mechanical state of a system of two or more objects in which the quantum states of the constituting objects are linked together so that one object can no longer be adequately described without full mention of its counterpart—even if the individual objects are spatially separated in a spacelike manner. The property of entanglement was understood in the early days of quantum theory, although not by that name. Quantum entanglement is at the heart of the EPR paradox developed by Albert Einstein, Boris Podolsky, and Nathan Rosen in 1935. This interconnection leads to non-classical correlations between observable physical properties of remote systems, often referred to as nonlocal correlations." Think Social Media... Search, etc..
"Join hundreds of business professionals and entrepreneurs from May 17-19th as we learn, network, and share experiences from across the different online marketing segments. The three day conference will consist of keynotes and panel discussions on search engine optimization, social media marketing, pay per click advertising, and web analytics." "Dallas, TX - Millions of trees are cut down each year just to put grocery flyers in your local newspaper. Market Street, well known for its gourmet to everyday grocery stores, is going to be putting an end to that. Eliminating their flyers from newspapers across North Texas will save over 1000 trees per year."